Travelling is a constant love as much as storytelling; Storytelling is a Guarantee of Sanity. These words are at the heart of my creativity, of my being; they have become my personal mantra and the signature motto for my blog. At one point down the road, as I realised the fragility of life, of happiness, I felt the need to store and share some of the stories related to locations, to make them visual adding my own photos. The decision to share them derives from the long tradition of conversational travelling, when people were still walking or riding horses and donkeys, exchanged anecdotes and jokes to keep themselves amused and relate to each other on the road or in repose, enjoying a cooked meal and a glass of wine. The guiding principle of these visual narratives is not to be found in academia or in institutions. It is rooted in the hands-on experience and learning that has been and still is the backbone of my living; it is linked to the etymology of the “amateur” from the verb “amare”. A strong advocate of continuous education, I do not underestimate the values of practical, interdisciplinary learning and searching of material across time & across cultures. Reading and exposing oneself to the arts & crafts improves greatly the resilience in life’s hardships and inspires, as much as commitment to loving relationships and activism. I have always felt at home with the words. My literacy in images is a more recent asset. Yet, images have preceded words; our memories and dreams are made of images – the words run after the images to interpret them. This blog was born on 12 May 2012. All you see and experience here is the outcome of time and work done with pleasure and pride. The comments, the sharing and the number of views are an extra bonus. If you find this Babel of languages and the colorful diversity we live in fascinating, you will agree with me that we should try to keep this diversity alive. 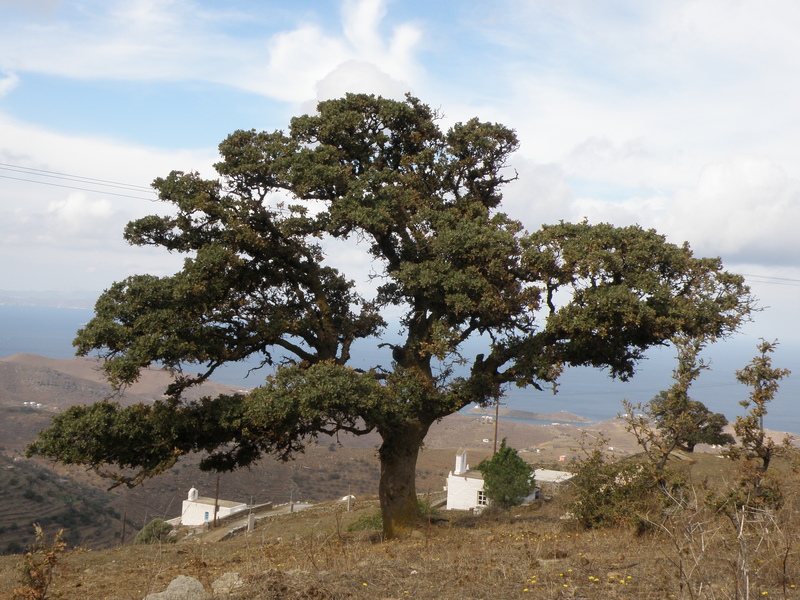 I keep my blog Bilingual, a legacy to the sounds of my birthplace, the Greek landscape. It is extraordinary that technology allows me to show you some of my favourite places; to visit together locations not as tourists, but as travellers with an eye for the detail, for the hidden, honing our curiosities towards what has been and what will follow. The outdoors for me is linked with the unexpected yet pleasant encounters, with new discoveries. The fresh air, the silence, the feast for the senses that nature provides so generously, as well as the man-made constructions that have absorbed the best of people’s charisma and toil may cultivate an addiction in solitude. This blog is a vehicle to communicate with you this magic. I keep repeating what inspires these blog posts in English and Greek. It is particularly time-consuming and does not carry any quantitative rewards, monetary or prestige. The reward is the adventure of actively participating in the making of stories about locations. It has inspired me with a purpose and a vision to contribute in the preservation of the natural or man-made treasures that grasp my attention and imagination, to illustrate whatever goes with them: the stories and the history, the habits, the food, the customs, the dances and the songs: the treasures of Cultural Heritage, which goes hand-in-hand with Ecology. I want to share with you my secret: I can tell you from personal experience that the more we enrich our imagination with references and memories the denser becomes the landscape – ‘it talks more to us’, it becomes more eloquent. As for us, we connect to the landscape, with the place, we understand it, we establish a lively relationship with it. Thus, the place becomes a character too, with traits, a personality, even mannerisms. Here you will find well-researched authentic posts, featured in En & Gr thoroughly edited and illustrated by my photos. *** 3 times awarded blog, often used as a source of reference for its content and photos by other websites. Wonderful images and a real sense of what drives a writer. Wow, Lisa! I’m just running through it now but I must say from what I see your blog is a jem. Great photos and snippets of Athenian life too. KEEP IT UP!